Saving languages is good for the environment and for tackling poverty. Suzanne Romaine explains why. 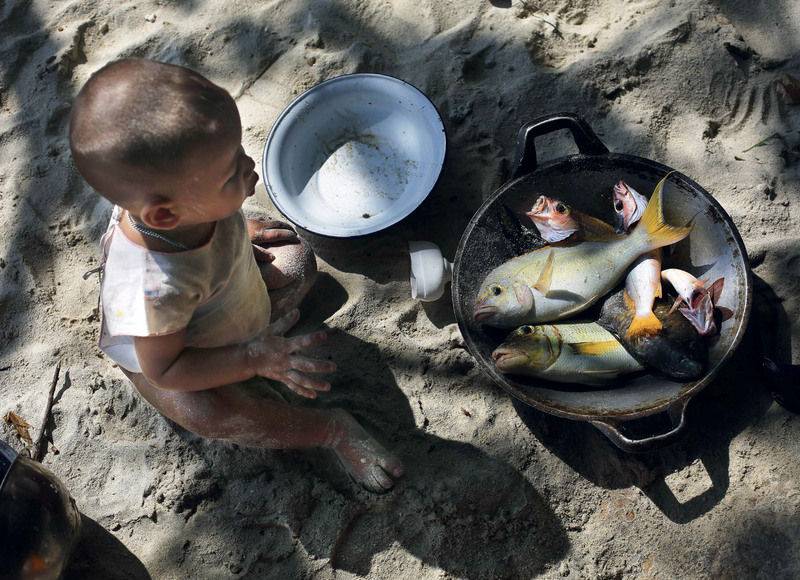 A Moken child eyes his lunch. The Mergui archipelago, where he lives, is rich in marine biodiversity. With 116 languages, Burma is also a language hotspot. Animal and plant species are now being lost at a rate 1,000 times greater than historic background levels. At the same time, half of the world’s languages are at risk of disappearing within the next century. The two may not immediately seem connected, but they are. For nearly three-quarters of the world’s languages are concentrated into a small number of biodiversity ‘hotspots’ inhabited by some of the poorest peoples. The fate of our planet’s biological and linguistic diversity depends on the people most vulnerable to the pressures of globalization and most marginalized by inequality of access to development. What happens in these regions of high biological and linguistic diversity will determine the future diversity of life on Earth and the welfare of millions. Although all humanity depends on a healthy biodiversity, these two parallel crises of extinction have a far greater impact on indigenous peoples, who make up 15 per cent of the world’s poor and a third of the 900 million subsisting in extreme rural poverty. They live on lands containing 80 per cent of the Earth’s biodiversity and speak around 80 to 85 per cent of its languages. In a rapidly globalizing world with a handful of very large languages and many thousands of small ones, maintaining linguistic and cultural diversity is inextricably linked to the survival of small communities, whose subsistence lifestyles depend on healthy ecosystems and access to land. 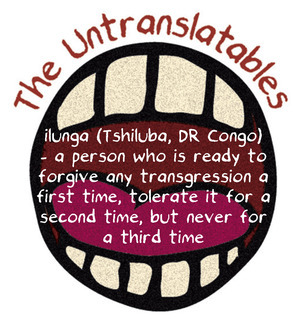 Without such resources, these groups find it hard to maintain their ways of life and the cultural identities on which the continued transmission and vitality of their languages depend. Lacking adequate access to education, healthcare and water, and frequently unrecognized by the governments of the states where they live, they are deprived of the right to participate in or direct their own sustainable development. Rich nations are now rapidly destroying habitats that sustain much of the world’s remaining biological and linguistic diversity. Resource extraction, the spread of mechanized agriculture and development projects damage the environment and dislocate people from places they traditionally relied on for their food, shelter, cultural practices and spiritual wellbeing. Consider the fate of the Ugong language in western Thailand. In the late 1970s, the Electricity Generating Authority of Thailand built two hydroelectric dams on the two branches of the River Kwai. These dams flooded two Ugong villages, so the inhabitants were moved elsewhere. With the villages destroyed and the community scattered, the older speakers who still preserve the language have few, if any, people to talk to. Ugong has been swamped, quite literally, and its speakers immersed in Thai villages. Their children now speak Thai as a first language; fewer than 100 adults use Ugong at home. People can survive without knowledge of their traditional languages, so why does it matter if languages die, as long as the people themselves continue to live? The issue of language loss cannot be separated from people, their identities, their cultural heritage, their wellbeing and their rights. The interdependence of human rights, language and development emerges nowhere more clearly than in the global debate about poverty reduction in the context of the Millennium Development Goals launched in 2000. Even as global poverty levels fall, the promise to end poverty by 2015 has left behind the most vulnerable: four out of five still live in extreme poverty in sub-Saharan Africa and South Asia. Not coincidentally, these regions also have the most children out of school and the lowest literacy rates. Together, they account for nearly 90 per cent of the world’s illiterate young people aged 15 to 24 and 74 per cent of illiterate adults. The poorest tend to have least access to the languages preferred at school: more than half of all out-of-school children live in regions where their own languages are not used in the classroom. Africa is particularly disadvantaged. Africans speak around 30 per cent of the world’s languages; they also comprise nearly a third of the global poor surviving on less than $1 a day. More than five decades of development and education relying on English and other European languages have done little for Africans: up to 90 per cent have not learned European languages, leaving the majority disempowered and disenfranchised from full political participation because they don’t understand the official language of their country. 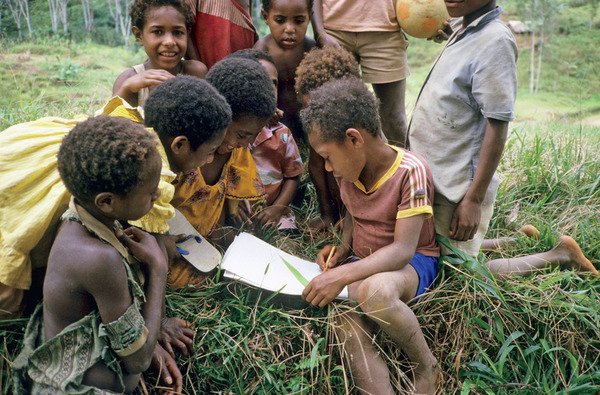 Aseki children reading in Papua New Guinea. With one language for every 8,300 inhabitants it is the most linguistically diverse country in the world. Almost half of primary school-aged children in sub-Saharan Africa reach adolescence without basic literacy or numeracy skills. Girls and women, especially, face formidable marginalization. Being poor, female and living in a rural area compounds educational disadvantage over a lifetime; two-thirds of the world’s 775 million illiterate adults are women. Literacy is a core component of the right to education and an indispensable prerequisite to lifelong learning. Providing quality education to the poorest requires teaching them through the language they understand best. Nevertheless, this commonsense principle is the exception rather the rule worldwide – nowhere more so than in Africa, which has the highest proportion of people (87 per cent) without access to mother tongue education. Investing in local languages in the context of mother tongue-based multilingual education will do more to advance sustainable, inclusive development in Africa than providing English to all. Literacy in local languages is key to sustainable development because children can more easily learn to read in a language they know, which provides a secure foundation for learning others later on. This then enables them to access wider opportunities and participate in life beyond their communities. Policies that discriminate against the languages of the marginalized poor severely compromise the power of education to improve their lives. They also increase the likelihood of language minorities constituting the majority of those still living in poverty in 2015 and beyond. The difficulties of pursuing economic development by teaching through English from an early age are already evident in Malaysia, India and Rwanda, where declarations of a policy change were made without adequate planning or preparation for implementing a wholesale shift to English. Policies aimed at removing people from their lands, languages and cultures clearly damage their wellbeing. Just as diversity in genes, species and ecosystems is essential for evolution and our survival, so cultural and linguistic diversity are vital for increasing individual and community resilience. As the fate of Ugong shows, the health of a language depends on the health of its speakers, which in turn depends on the health of the natural environment. Indigenous peoples typically fare far worse than non-indigenous, have a lower life expectancy and a higher incidence of diabetes and cardio-vascular disease. Suicide rates are as much as 40 per cent higher, especially among the young, many of whom are only weakly integrated, if at all, into traditional culture, and are disconnected from their elders and family support networks. Helping young people to feel attached to their language and culture may be an integral part of the solution to some of the dire health problems in native communities. In British Columbia, Canada, suicide rates are lowest among First Nations communities whose native language is still vital. In Australia, speaking an indigenous language is associated with markedly superior health, and a lower likelihood of abusing alcohol or being arrested. Aboriginal Australians living in remote areas also appear not only to be better able to maintain aspects of language and culture, but also to achieve other aspects of wellbeing, in particular higher levels of self-reported happiness. Contrary to claims frequently made about Aboriginal culture and language being maladaptive and leading to poverty and despair, stronger cultural attachment and identity are associated with greater participation and achievement in education and training and a higher probability of being employed. Despite increasing recognition that indigenous peoples are critical partners in determining strategies for sustainable ecosystem management, the preservation of species and languages is still all too often cast as an obstacle to modernization rather than as part of a strategy for sustainable and empowering development. Because the success of conservation initiatives depends on engaging local communities, measures most likely to maintain small languages are the very ones that will help increase their speakers’ standard of living in a long-term, sustainable way. Good development involves local community involvement, control and accountability. This means giving people real choice about what happens in the places where they live. In view of the strong relationship between areas of great risk for species and languages, investing in biodiversity is likely to bring good returns for linguistic diversity as well. And policies promoting a community’s economic and cultural wellbeing will be likely to sustain linguistic diversity. In 2012 United Nations Secretary-General Ban Ki-moon announced ‘the future we want’ as a new, more holistic, people-centred vision for the global community. The 2013 Human Development Report, subtitled ‘human progress in a diverse world’, called for a post-2015 framework resting on core values of human rights, equality and sustainability. Global development agendas cannot reach the ‘bottom billion’ until they speak to them in their own languages, moving beyond restrictive ideologies to embrace a new vision grounded in a firm commitment to genuine cultural and linguistic pluralism. As long as globalization continues to drive growth by destroying the environment, all the while failing to lift the bottom billion, future generations will inherit a more impoverished and drastically less diverse world. With both species and languages facing similar threats and experiencing rapid declines in the same places, we are on the edge of a ‘tipping point’. If there is any ‘good’ news here, it is that we are dealing not with parallel, independent extinction crises, but one large interconnected problem. The need to preserve languages and species and the need for development in the world’s poorest places are complementary aspects of the same problem, rather than opposing ones. Suzanne Romaine is Merton Professor of English Language at Oxford University and author, with Daniel Nettle, of Vanishing Voices (Oxford University Press).